Delhi Chief Minister Arvind Kejriwal's Maruti Suzuki WagonR was stolen in New Delhi earlier today. Reports suggest that the car was stolen from the Delhi Secretariat. 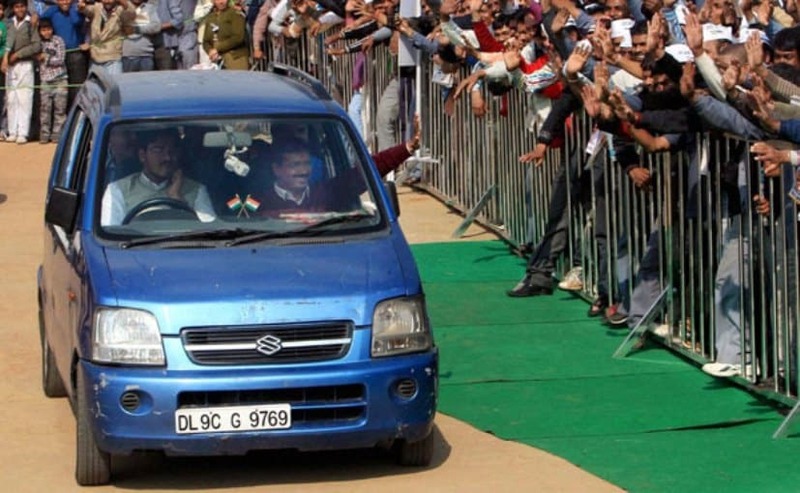 The blue coloured hatchback was synonymous with the Chief Minister during his Delhi election campaign in 2013, and was largely hailed as the CM's 'aam aadmi' roots. That said, the car was gifted to the tax man turned politician by an Indian living abroad Kundan Sharma and was also called the AAP Mobile. In the more recent times though, Kejriwal moved on to the last generation Toyota Innova as his daily driver instead of the WagonR. At present, the mid-2000s Maruti WagonR was being used by the Aam Aadmi Party's media coordinator Vandana Singh. Singh is said to have filed a police complaint at the IP Estate police station about the theft that occurred at around 1 pm. The police while speaking to the media said that the case is being investigated. The Maruti Suzuki WagonR is one of the most popular offerings from the automaker and continues to be one of the top five bestselling cars every year. In its stock guise, the hatchback is powered by a 1.0-litre petrol engine that is paired to a 5-speed manual transmission. Apart from the petrol derivative, the car is also available in both CNG and LPG versions. With the investigation underway, more details on the stolen vehicle is expected to emerge soon.